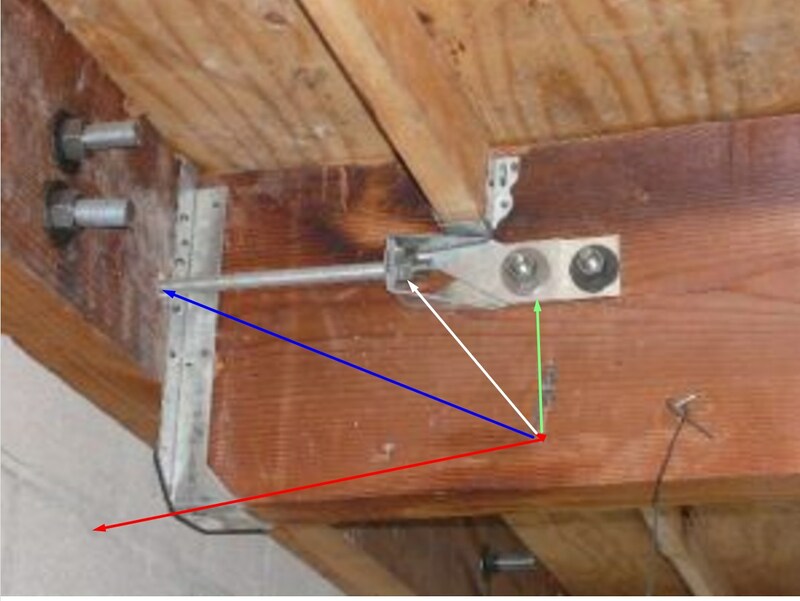 Tension Ties or Horizontal Hold Downs are used in many seismic retrofits, especially in houses with stepped foundation, where installing a plywood shear wall is not a good option. This is usually due to limited access or because the foundation steps on a very dangerous hillside home are so steep that plywood shear walls simply won’t work. Here you can see the earthquake is trying to pull the house away from the foundation and down the hill. This pulling action is transferred to the Horizontal Hold Down which in turn pulls on the foundation where the force is resisted. 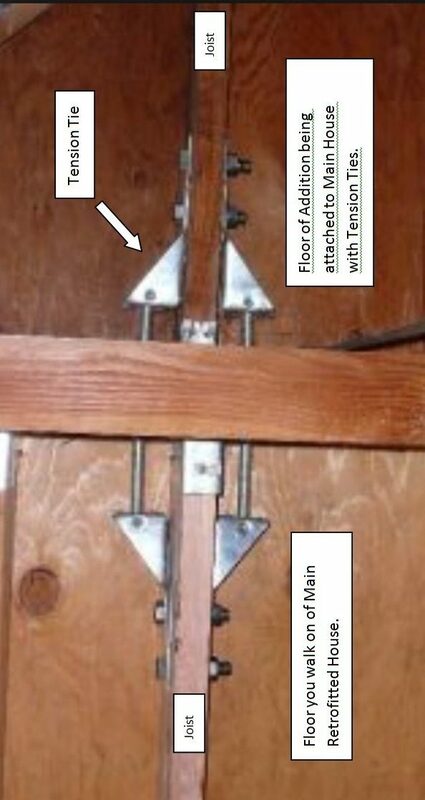 In the image below the green arrow points to the Horizontal Hold Down and to the Bolts that attach it to a floor supporting beam. The red arrow is the foundation. The blue arrow point to a bolt deeply embedded into the foundation with epoxy and the white arrow points to a nut the attaches this bolt to the horizontal hold down. 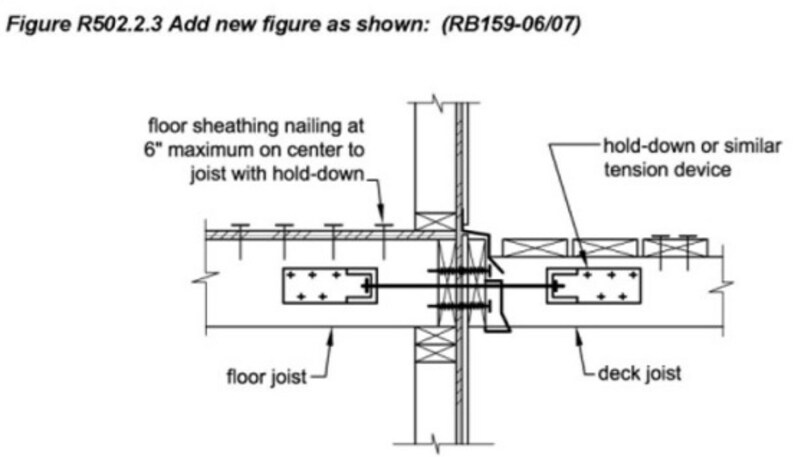 This assembly prevents the beam from disconnecting from the foundation. The other place they are used is when the house has an addition and we don’t want the addition to come apart at the corners. 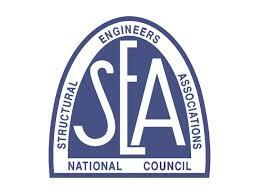 In the image below the red arrow represents the earthquake pushing on the back of the addition. 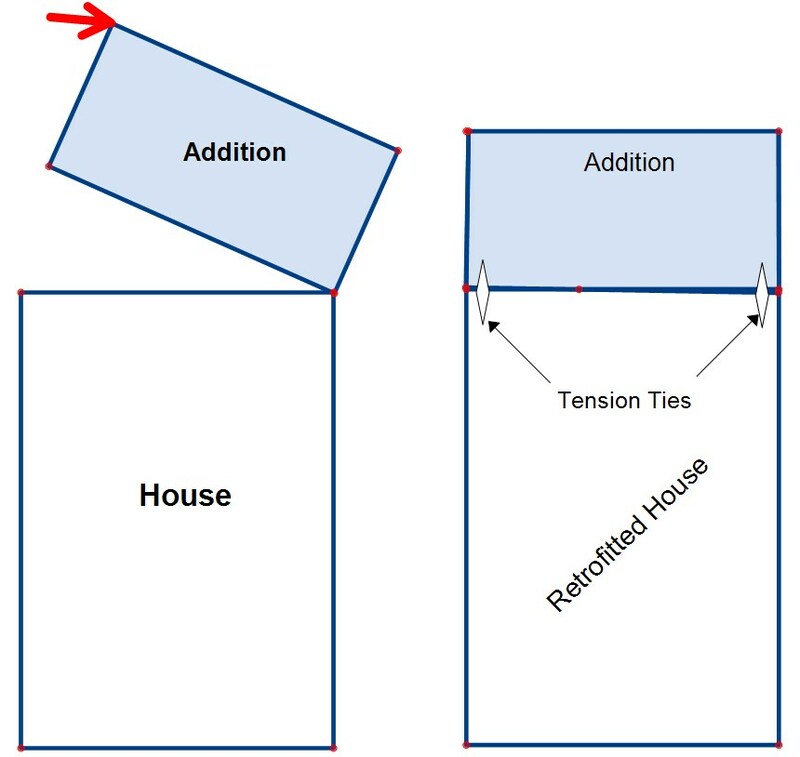 If the corners of the addition are not securely attached to the main house the addition can be separated sometimes causing catastrophic damage. 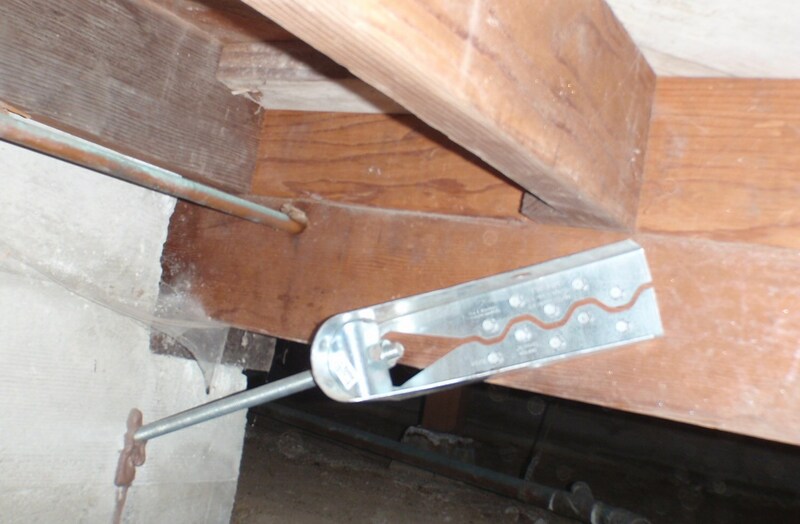 This damage is prevented by connecting the floor joists of the addition to floor joists of the main house at each end with a special type of steel called a Tension Tie. 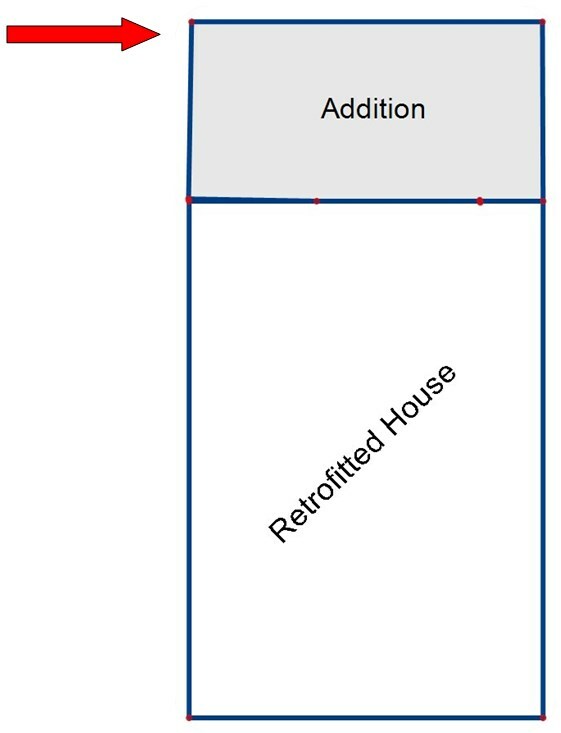 Below is a construction detail found in the 2007 International Residential Code pointing to the fact that scientists have come to understand how important this connection between an addition and the original floor is.